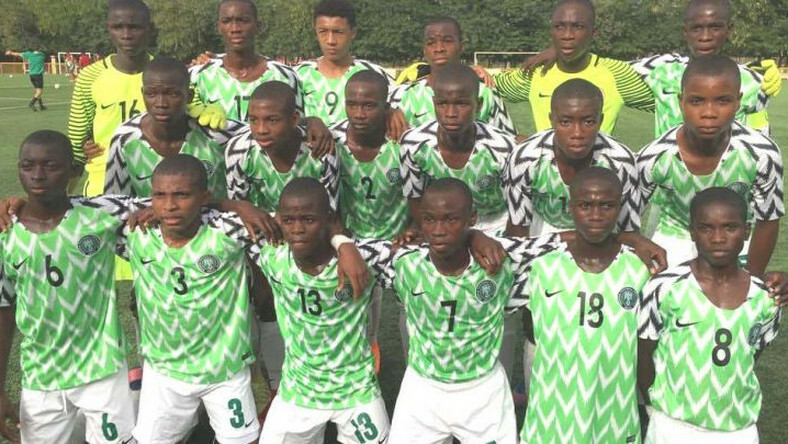 Nigeria’s U15 National Boys Team, known as the Future Eagles, has been invited to take part in an Eight-Nation Tournament in Japan in June this year. The tournament, which is known as the U16 International Dream Cup, started in 2015 and has welcomed teams from a number of the world’s leading football nations, including France, Spain, and The Netherlands. Senegal, Mali and Guinea are among the African nations to have participated in previous editions. Players for the U15 National Boys Team are selected during the annual NFF/Zenith Bank Future Eagles Championship. Last year, the Future Eagles won the silver medal of the football event at the 3rd African Youth Games held in Algiers. A good number of the players made the U17 National Team that won the WAFU Cup Tournament in the Niger Republic in September last year, to qualify for this year’s Africa U17 Cup of Nations taking place in Tanzania. At the U16 International Dream Cup Tournament, host Japan, Chile and France finished in that order at the inaugural edition in 2015, while Mali, Japan, and Hungary were the top teams in 2016. Host Japan, The Netherlands, and Guinea were top of the pile in 2017, and last year, Spain, Paraguay, and Senegal finished in that order. This year’s tournament will hold 12th – 16th June in the city of Sendai, Japan.